When you hear the words Carbon and Green, especially quickly after each other, you probably think that the conversation is about the environment and not about high end watches. 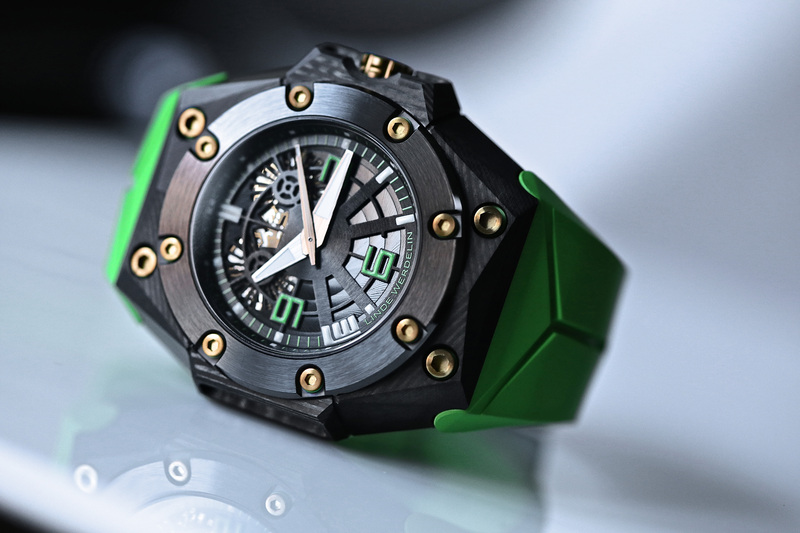 The exception to this rule is Linde Werdelin’s latest edition to the line-up; the Oktopus Double Date Carbon – Green. 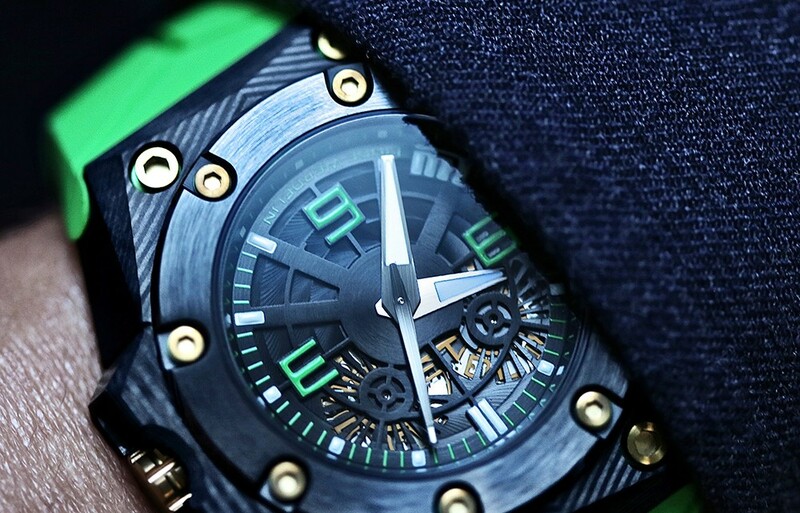 The name actually says it all; this new watch is a member of Linde Werdelin’s Oktopus-family, and features a double date, a carbon case and a green strap with green dial details. But of course there is more. 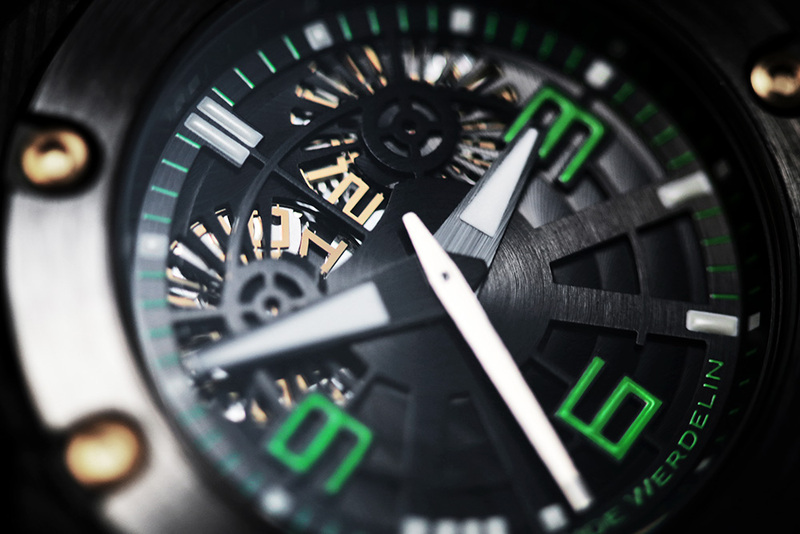 Watch aficionados are probably most enticed by the material that Linde Werdelin used to craft the case. Through a process called 3DTP (3 dimensional thin ply), micro carbon fibers are shaped into the familiar, iconic, shape of the Oktopus case. The result is a case that seems to have a casual herringbone motive. Especially with the signature planes of the Oktopus case, this technique really adds another dimension. Of course for Linde Werdelin, this is merely the first of a range of exotic materials for the watch; the bezel is crafted from black ceramic, with a satin finished top, while the screws and crown have undergone a treatment called TIN. This changes the titanium into a gold champagne color. Linde Werdelin also used this treatment on the caseback, with octopus engraving, and the date wheels. The date wheels of the large date function occupy the top of the dial in a prominent way, but unlike you might expect it is not the color that creates this. The skeletonized dial and date wheels simply provide a lot of details to admire. Actually the champagne tone of the date wheels make it that they don’t stand out too much yet are there to provide the date when needed. 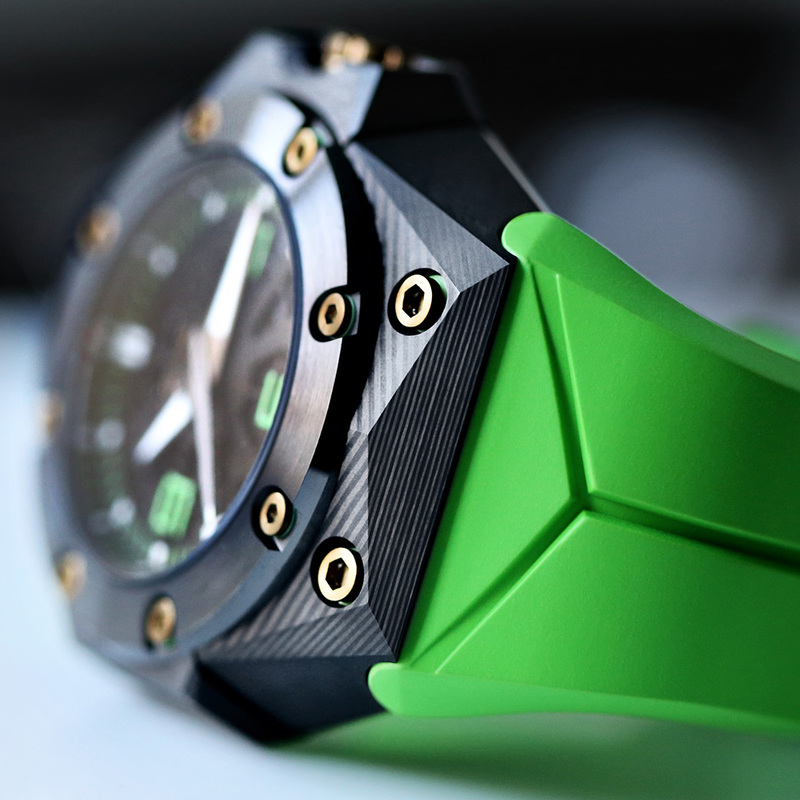 A clear example that Linde Werdelin not only knows how to balance (exotic) materials, but also colors. 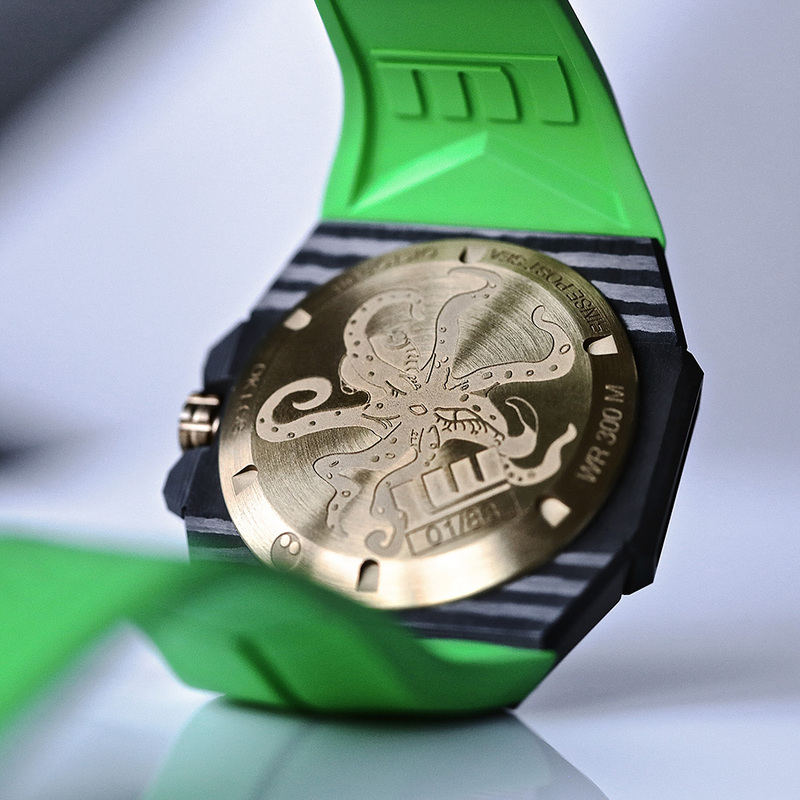 Black, green and champagne would have personally not have been my first choices to apply on a watch, especially not one as precious as this Oktopus. The result however is a tasteful representative of the modern sports watch. It still might not be a watch for everybody, but the good people at Linde Werdelin are probably more proud about that, than worried. As always, this Linde Werdelin is a limited edition. Only 88 pieces will be sold world wide. 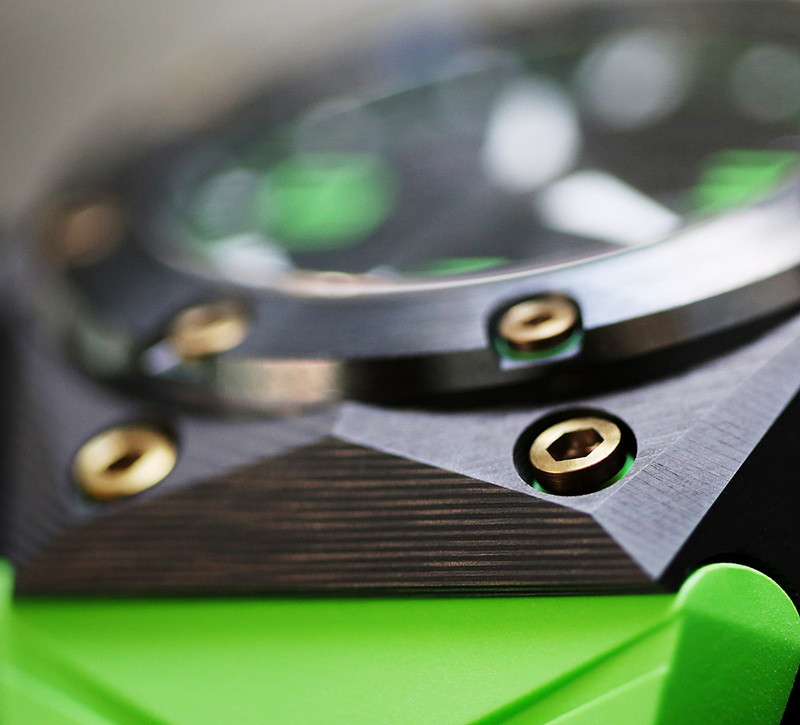 And for those who find the green strap a bit too much, Linde Werdelin also offers different colors. But I like the green, but maybe because that’s my name!